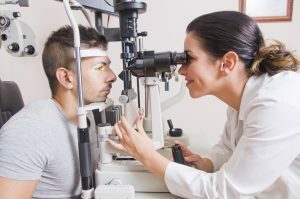 Visiting an Optometrist for a comprehensive eye exam, is one of the most accurate ways to ensure the health of your eyes. During the exam, your eyes are checked for signs of common vision problems and eye diseases. Most eye diseases/conditions have no early warning signs; therefore, it is crucial to have a yearly eye exam.